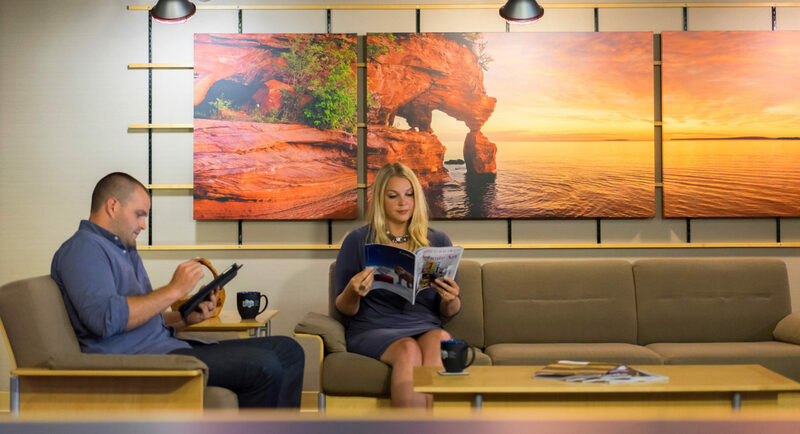 In Northern Wisconsin, the Lac du Flambeau Band of Chippewa had a clinic in a building once designed for office space. It was outdated, too small and bore no relationship to tribal culture. 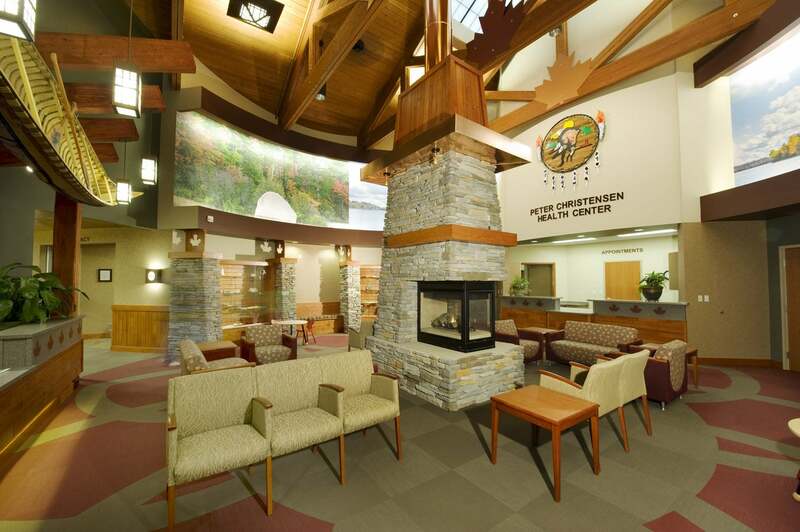 Tribal leaders worked with DSGW to design an entirely new facility, the Peter Christensen Health Center, which helped discover new connections between modern medicine, wellness, exercise and community. 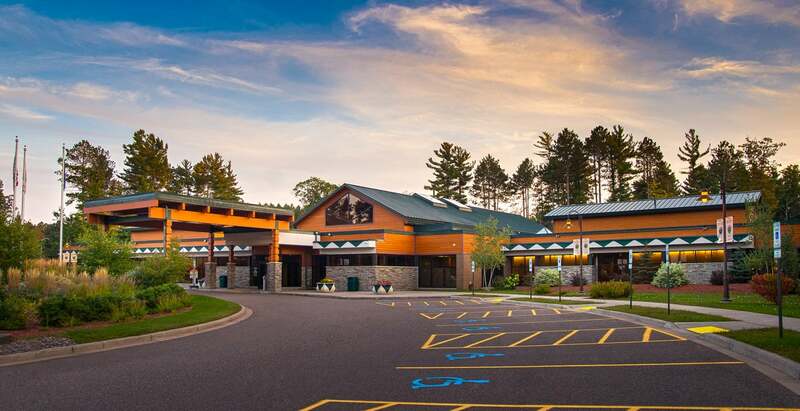 For the Lac du Flambeau Band of Chippewa, the result is a center for holistic health with education and outreach programs. 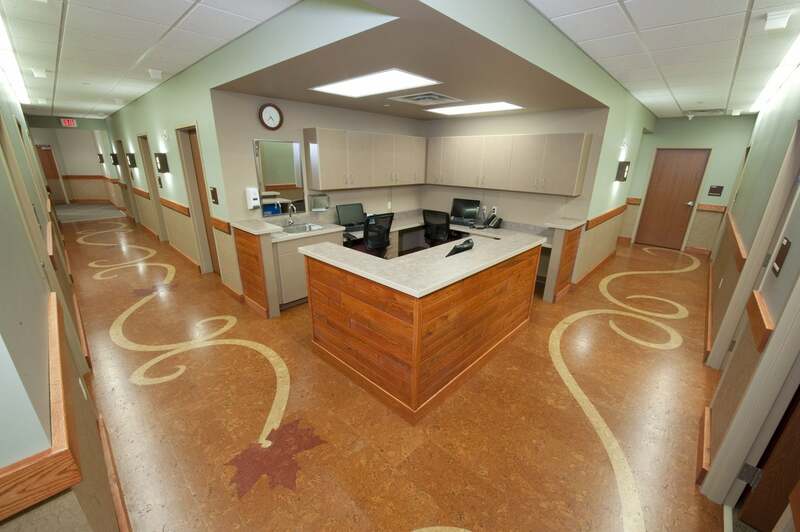 DSGW developed a master plan for a 26,000 sf health center that has family practice, behavioral health and other population health functions. The health center encourages wellness and extends the lives of elders who pass down language, traditions and local history. This project is more than a health center, it is representative of the community. 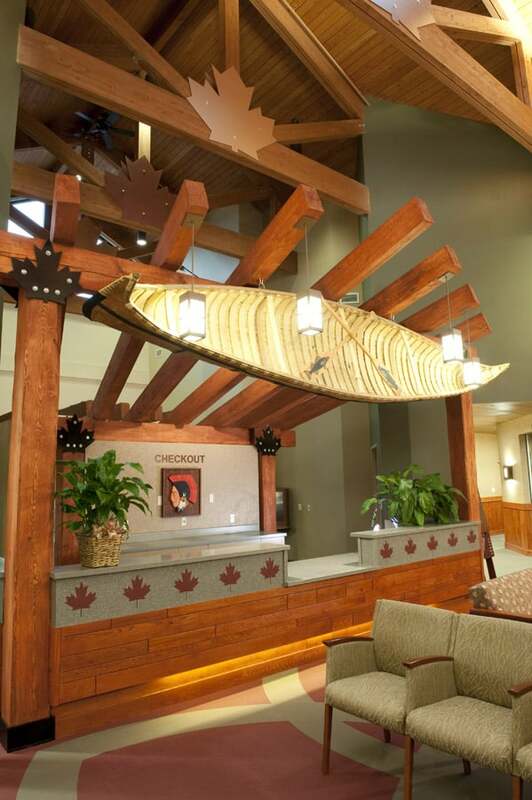 The heart of the health center is a circular commons area that highlights the heritage of the tribe with outdoor theme murals and a rustic post and beam ceiling. Elders gather near the fireplace and the health center is a new hub for teaching about diet, nutrition and exercise.